It’s a beautiful Tuesday morning and we’re strolling through the streets of SoHo with the bright sunshine warming our shoulders. 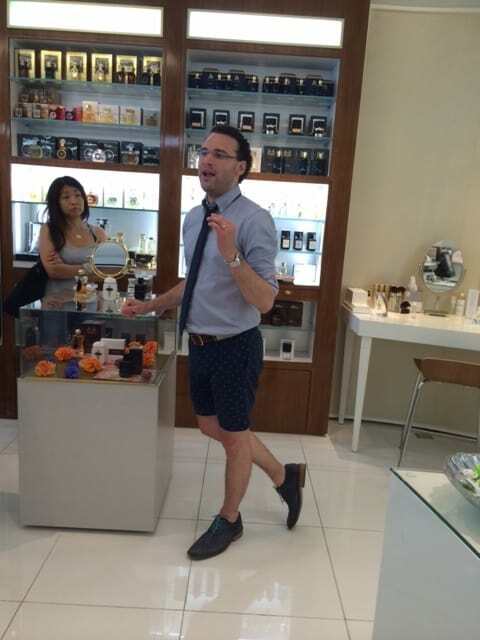 We’re on WFFC‘s 7th Annual Sensory Fragrance & Flavor Trend Excursion in NYC! 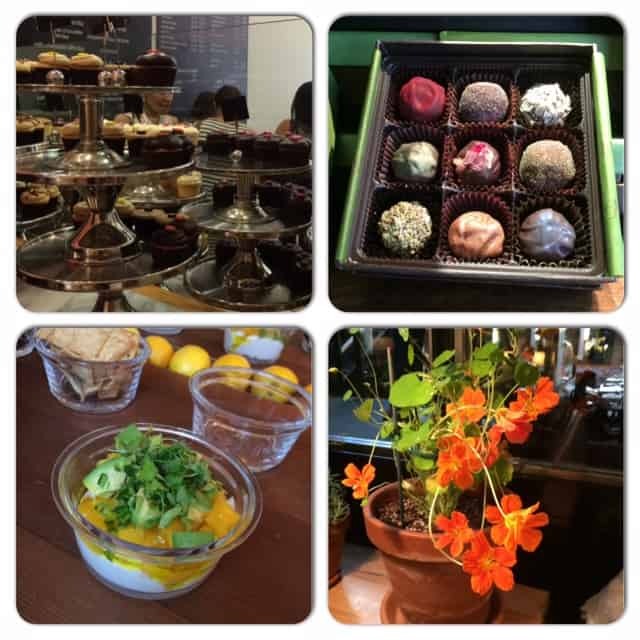 This superbly curated tour, organized by Amy Marks-McGee of Trendincite and Jeanine Pedersen of Takasago, promises to delight and inspire with stops at the tastiest spots in town. Our journey begins at Georgetown Cupcake, where we learn all about this DC-based company in their perfectly pink confection of a shop. (Don’t miss taking a peek at their Swarovski crystal-encrusted Kitchenaid Mixer!) 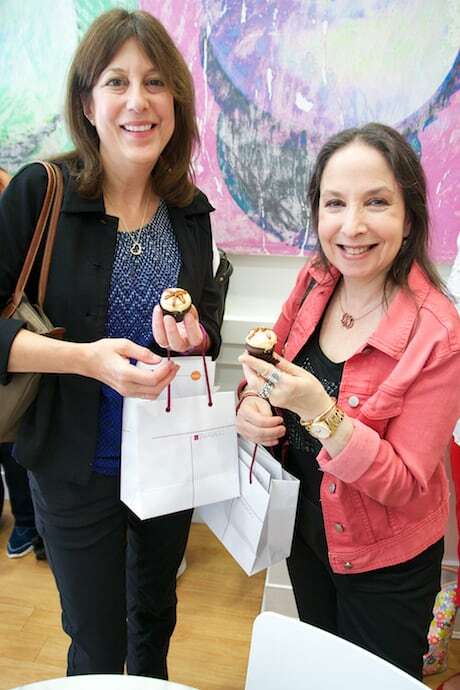 Mini Chocolate Salted Caramel and Vanilla² cupcakes are waiting for us to sample! 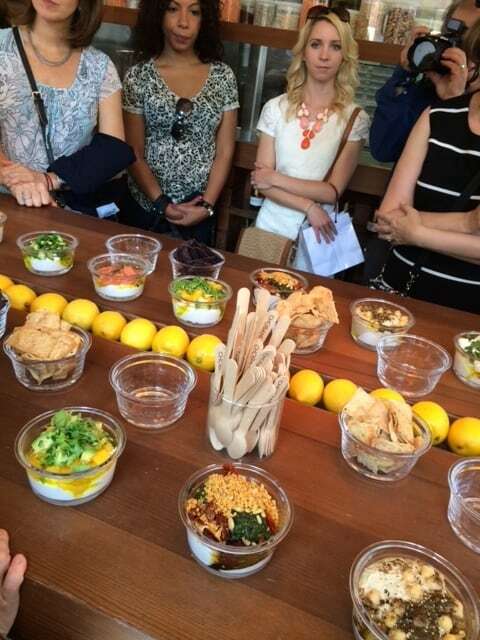 Our next stop is the flagship Chobani store, which doubles as their corporate test kitchen. Glass jars filled with freshly made plain yogurt, topped with extraordinary combinations, are served for our tasting pleasure. Unique medleys of sweet and savory – Cucumber & Olive Oil; Hummus & Za’atar; Mango & Avocado; Zucchini Pesto & Tomato; Red Pepper Harissa & Feta – expand our palates beyond the traditional. A favorite is Pistachio & Chocolate, which combines Turkish pistachios (the most flavorful variety! ), freshly chopped dark chocolate flakes, sliced orange, fresh mint, and clover honey. This is not your supermarket dairy case yogurt! We all leave very satisfied and sporting Turkish Nazar bracelets too! Xocolatti is a stunning gem of a chocolate boutique. Formerly a jewelry store, owner Shaineal Shah‘s confections are as beautiful as precious baubles, but much tastier! 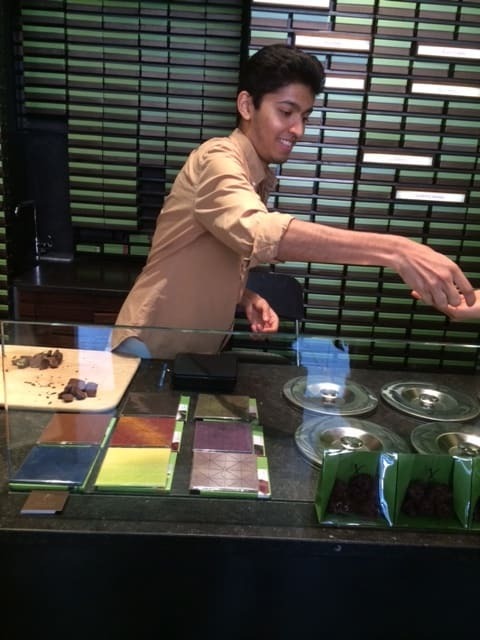 We sample the Olive Oil Basil truffles and Sake truffles, both of which enchant our tastebuds. 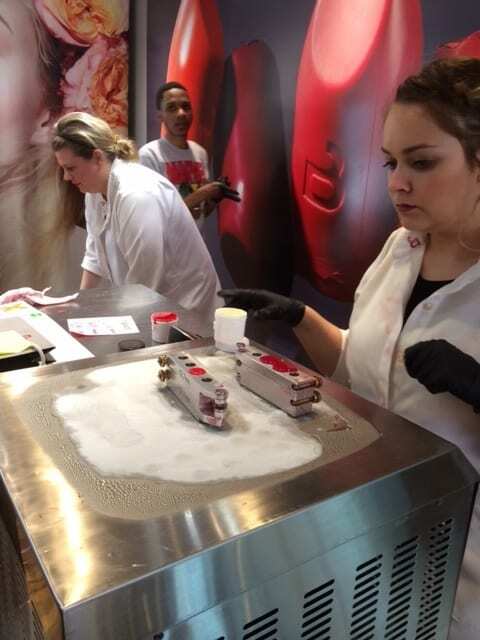 Right next door is Bite Beauty Lip Lab where custom colored lipsticks are created especially for us. We chose our colors and essential oil flavors – cherry, mint, mango, superberry, vanilla, and violet. These rich and creamy lipsticks are made with food grade ingredients (beeswax, argan oil, shea butter & FDA approved colorants) and are healthy enough to eat. 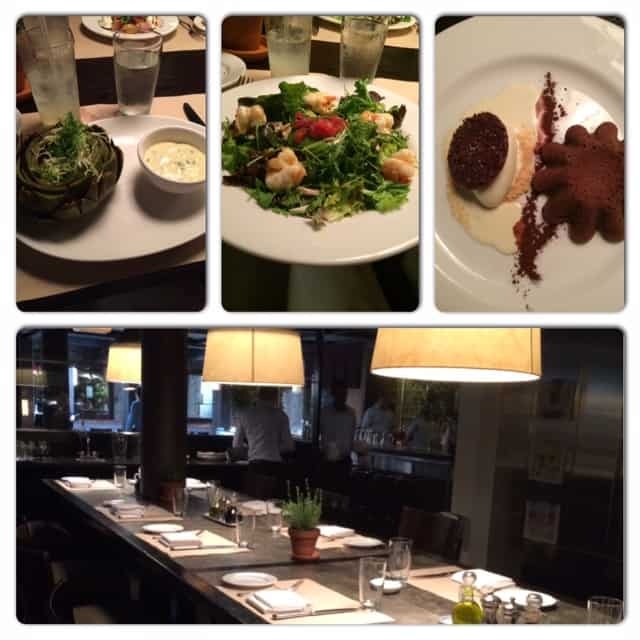 Lunch at The Mercer Kitchen is a meal to be savored. From the housemade sodas in unexpected flavor combinations (Black Cherry-Yuzu; Lemon-Lemongrass; Ginger-Lime; Lemon-Thyme) to the Warm Valrhona Chocolate Cake for dessert, each course was pure perfection. Thriving pots of fragrant fresh herbs adorned the tables. Chef Jean-Georges Vongerichten’s bustling open kitchen provided entertainment, along with lively table conversation with those who share our passion for the flavors and fragrances around us. 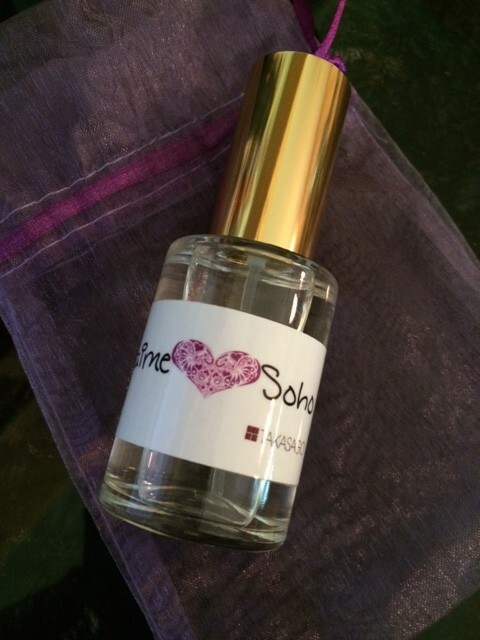 As a special momento of our inspiring day, Takasago perfumer Patricia Choux created J’aime SoHo just for us! This sheer gourmand has notes of apple, citrus, macaroon, orange blossom, jasmine, vanilla, sugar, woods, and musk. Wearing this delicious scent will always remind us of the lingering sweetness of our perfect day in SoHo.